Petable - The App That Manages Your Pet's Life! Petable- The App That Helps Manage Your Pet’s Life! We are all crazy about our pets and will do anything we can to help them remain healthy and thrive. We always want our pets to be up to date on any vaccinations they might need or any medical necessity. And, we can sometimes lose track of even when it’s time to get our dog or cat groomed. Well, not to worry any more. The Petable App is a great, free new app that keeps all your pets’ medical information in one place. What is the Petable App? The Petable app is an awesome new app that keeps all your pets records and information handy on our phone. All you need to do is download the app (it’s free!) and then you can fill in all the pertinent information. Simply fill out a record for each pet, including your pet’s breed (if known) chip number, weight, diet and anything else you find relevant. Each pet has a picture and all your pet’s health records, pet insurance, whatever you need! When you have the Petable App on your phone, it’s a great way to keep all your pets’ health events (records) in one place. There is also an automatic reminder system for preventive health care events (like vaccines and parasite prevention) that keep you up to date! 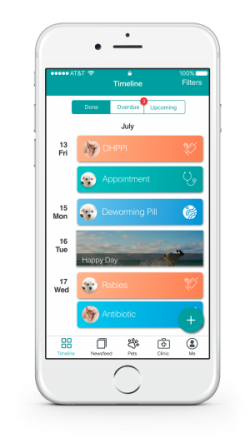 The app can also track daily items such as medication reminders, walk times, current brand of pet food and updates of when your next vet appointment. If your pet is on a certain medication, you can create medication and dosage reminders. You can also take notes of your pet’s favorite pet food, grooming appointments and anything pet related! You can connect to your clinic on the App, whether they’re in the Petable network or not. You will have direct access to their daily and emergency contacts, plus directions to the vet when you need them. The only difference is that if your vet’s connected, they can automatically set up reminders and send you notifications for medical appointments or important information (e.g. changes in schedule on a holiday). If you can’t find your clinic, you can ask for it to be added by clicking on ‘Tell Us Your Clinic’. This makes it a great way to have a private and all-round connection with the vet clinic. If your vet isn’t a part of their network, you just input the reminders for yourself! If your dog or cat has to go to the emergency room when your veterinarian isn’t available, you will have all your pets’ medical records handy on your phone. You can access and share your pet’s full medical records, including any notes about allergies and special treatment needs to make sure your pet receives the best care possible in the ER. Or if you are traveling with your pet and an emergency occurs, you have all your pets’ info handy and don’t need to worry! The app can even give you directions to the nearest hospital! All members of your family can have access to your pet’s information, from treatments to petfood. Only one family member has to input the information and all members can have the information available. This is a great addition so whoever is with your pet or needs to take your pet to the vet has the records handy. Or if your pet has an emergency situation and you can’t make it to the vet or emergency room, you have the peace of mind to know that your family has your pet’s medical records right on their phone. With the Petable App, you also have access to a great blog that can help answer some of your questions without consulting your vet. There is great, relevant content, segmented and targeted for each owner and each pet. There is news and information from vets based on each pet’s needs. The App can also just be a fun way to keep all the photos on your phone in one place outside of social media. There are so many reasons to have the Petable App on your phone from the appointments, reminders and the great articles! And, of course, having your pet’s medical records on your phone can be a life saver! Make sure to download the app today at Petable. 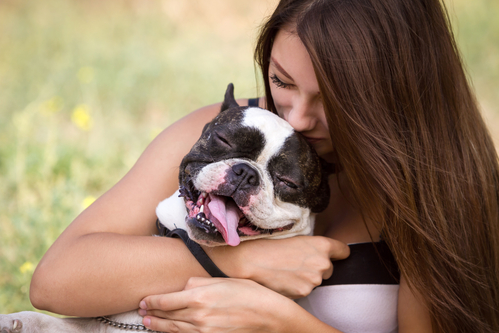 You and your pet will be happy you did!